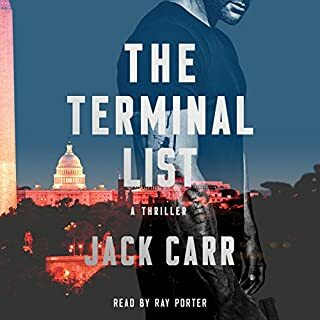 In the number one New York Times best-selling series' latest installment, Mitch Rapp finds himself alone and targeted by a country that is supposed to be one of America's closest allies. When the king's own nephew is discovered funding ISIS, the president suspects that the Saudis never intended to live up to their agreement. He decides that the royalty needs to be sent a message and that Mitch Rapp is just the man to deliver it. The catch? America can't be seen moving against an ally. Rapp will be on his own. Forced to make a decision that will change his life forever, Rapp quits the CIA and assembles a group of independent contractors to help him complete the mission. They've barely begun unraveling the connections between the Saudi government and ISIS when the brilliant new head of the intelligence directorate discovers their efforts. With Rapp getting too close, he threatens to go public with the details of the post-9/11 agreement between the two countries. Facing an international incident that could end his political career, the president orders America's intelligence agencies to join the Saudis' effort to hunt the former CIA man down. ©2017 Vince Flynn and Kyle Mills (P)2017 Simon and Schuster, Inc. All rights reserved. I'm Afraid Mitch Rapp is dead. First and foremost I RETURNED a MITCH RAPP NOVEL...WOW...even I can't believe it..but I did. The unabridged version anyway. In my mind anyway. Story is eh...and the character of Mitch Rapp is sadly gone for me. The performance is seriously lacking except this abridged version. It's read by the stall ward Armand Schultz. I like Armand and George when they were together reading the unabridged and abridged versions. People don't remember that Armand was the first that they kept on with &quot;The Third Option&quot;, abridged version...others have read the earlier novels, and were really bad...I can also remember how excited Vince was when he heard that he landed Guidall. It's a sad day for me. I LOVE this character and the books. George Guidall passed on reading this one and says that &quot;He's trying to lesson his work load?&quot; I am in doubt because I noticed from the last one :Order to Kill&quot; by Mills, George didn't seem to be ..performing, just reading it&quot; I had an eerie sense then...So my question became...Why Scott Brick to replace George? I'll never know. I never liked Scott Brick. I'm not sure why they didn't just promote Armand. And if they wanted to keep Armand there perhaps because he's the main performer for Thor's Scot Harvath, I'm just guessing...anyway...I'm deeply saddened.. 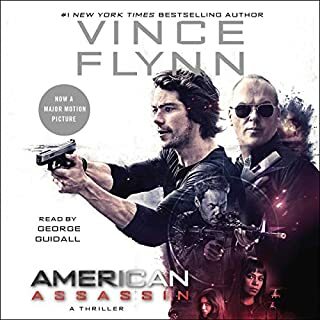 I did listen to it...and I did get both copies and in fact I became a Mitch Rapp Ambassador this year and received an early copy of the book and read it..like I said eh..I don't exactly like the way he turned Rapp away from Home and the CIA and also using the other characters from back stories. ESPECIALLY becoming involved with Claudia Morel??? Really?? Give me a break...It makes so much more sense that he would stay in the relationship that was he was developing with Maria Rivera..SHE was in his world or I could've gotten by with Donatella...NOT Morel that is just moronic...she was involved with KILLING his wife...I don't care that she felt bad or was tearful about the whole thing...I'd place money that Vince would have NEVER gone there...It doesn't make any sense..
And choosing Scott Brick? Sorry bad choice in my humble opinion...he has this like breathless style that is so irritating...aside from that the story is stupid with the characters, plot and..I absolutely did not enjoy Rapp disregarding his confidants, and HIS TEAM..Scott Coleman, Joe Maslick, Slick Wicker...etc..for a bunch of ragtags...yeah I know Donatella is in this one, and Both of Mills' characters, Grisha and the other guy..(not so memorable) See!! I've read or have listened to all the books in the series and this one was my least favorite. Perhaps it was the narration which was okay (so use to George) or the fact that it's further removed from Vince's influence but it seemed rushed and shallow. I don't want to give away details but the new characters are bland and underdeveloped. The ending itself is short and not "Rapp-like". To me the book felt like a deadline was given and the team scrambeled to meet it. It would stand alone as a featurette. 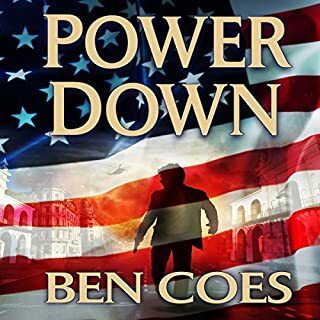 I am a big fan of Vince Flynn and the Mitch Rapp series, but something was missing in this book. 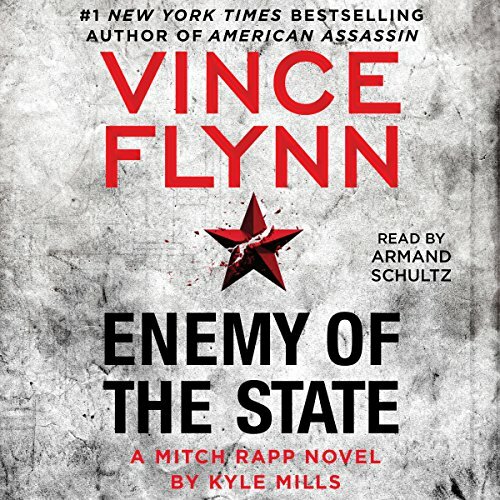 While Kyle Mills did a good job with the first two Rapp books he wrote, this one did not seem to be as close to what Vince Flynn would have done than the previous efforts of Mills. In this book Rapp seemed to relish in foul language and also in violence. I am not familiar with Mills previous writing, but I think he may be putting his own stamp on the character in this book, and I see it as a departure from Flynn and what he was doing. 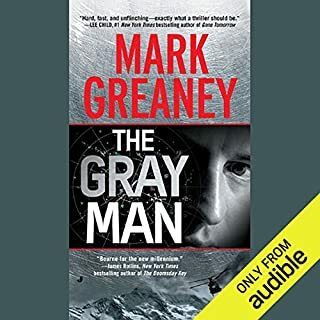 The book was entertaining, and I did enjoy the interaction with some of the previous characters from earlier books, but the change in President Alexander's character was too dramatic, and Irene Kennedy was more like a prop. She had no real substance in this book and no development. The relationship between Kennedy and Rapp was a key factor in earlier books. Their relationship was interesting and multi-layered, but Mills does not seem to get that at all. As a thriller I would give this a C-. 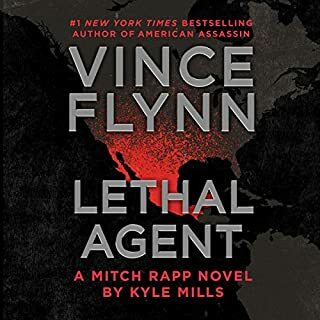 As a continuation of Vince Flynn's Legacy I would probably give it a D. My gut feeling is that Mills will not be back for any future Mitch Rapp books. Just not up to the Vince Flynn standard. 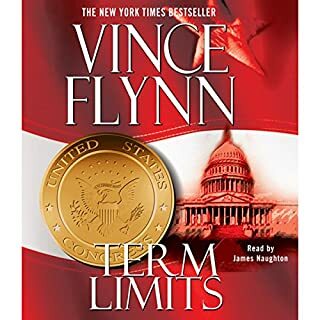 This will be the last "Vince Flynn" book I buy. This book is why an author who has died should not be resurrected in another author's voice. Ugh! A formulaic story, poorly performed. A good reason to never download another Mitch Rapp book. first rule to audiobooks...never never change the person reading the book in a series. Especially after the 15th book! original reader had a voice that fit the part and told a story. The new person reading sounds like a teenager reading a book out loud. Will the Real Mitch Rapp Please Stand Up? I never thought I would struggle to finish a MR book. It started out interesting but followed a Hollywood formula. The plot was transparent. Chase the bad guy and take him down. The bad guy was hardly a match for the Real Mitch Rapp. The plot of framing MR was ridiculous. Who ever believed he was a saint? A natural follow-up would be Mitch in an apron baking cookies. This is an outstanding book in an outstanding series. I haven't been disappointed by any of the newer books. Getting ready to read the next in the series. New narrator and too short. Good story. Could have been a great sorry but that goes for all these books. They are all way too short. Too condensed. The narrator wasn’t bad but was hard to get used to after all the other books. I love the Mitch Rapp series, but this one was a let down. I felt the story jumped and was lacking in in-depth story line. It was very short also, at only 6 odd hours.